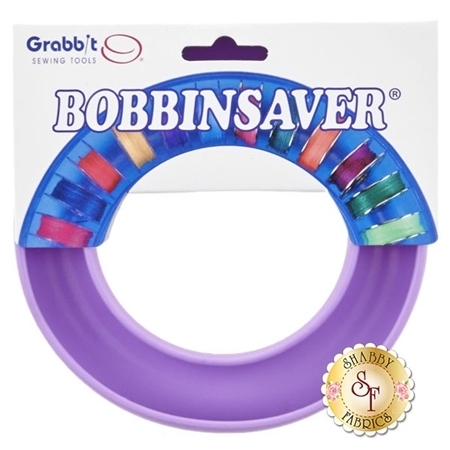 The Bobbin Saver from Grabbit Sewing Tools can hold a variety of bobbins and even prevents threads from tangling! Made from plastic rubber, the Bobbin Saver expands to fit most regular sized bobbins. Bobbin Saver securely holds over 20 bobbins, plastic or metal.